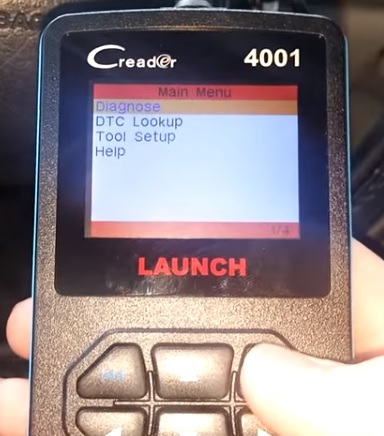 The Car Code Reader Launch CReader 4001 is a OBD2 automotive scan tool. It comes with all the features needed to troubleshoot a car or truck engine light or diagnose vehicle problems. It is also a low cost unit making it good for the home DIY backyard mechanic. 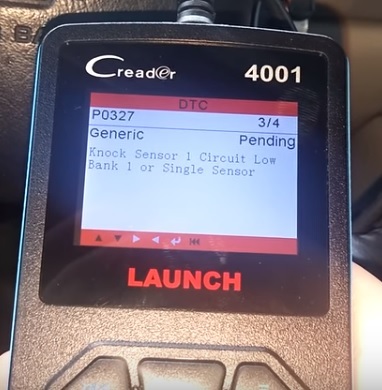 OBDII ports are available to diagnose problems on cars or trucks built 1996 and newer. 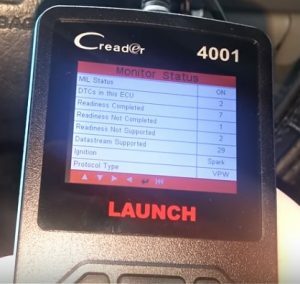 OBDII is a set protocol that all manufactures follow to help fix a problem. Most all OBDII ports are under the driver side dashboard with a few manufactures having them located in other locations. 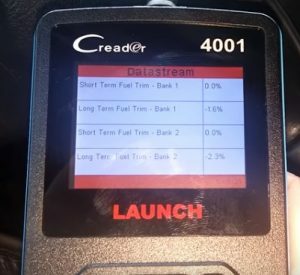 Scan tools like the CReader 4001 will talk to a vehicles on-board computer (ECM) and if there is an error give a code to the problem. For example here it shows a P0327 Code which is a Knock Sensor problem. It could be a bad sensor or the wiring harness and connectors. 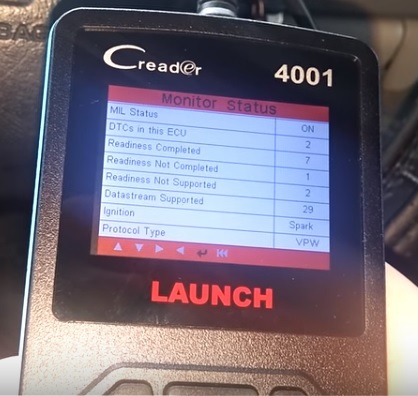 The main point of any OBDII scanner is to point to the problem usually displayed with a check engine light on or other problems such as not starting. It also has many nice features Launch including OBD Partial Functions, Read DTCs, Clear DTCs, Read dynamic data streams, Read vehicle information and much more. Another nice feature is no batteries are needed and it powers itself from the OBDII port. The Launch CReader 4001 Diagnostic Scan Tool is a good unit for the money. It does what it is meant to do which is scan for engine problems and point to the solution. As with any troubleshooting some mechanical experience will be needed to fix a problem. There are many forums and YouTube videos that can be very helpful in fixing car or truck mechanical issues. If you need to know why a engine light is on or need a good scan tool for troubleshooting the Launch CReader 4001 is a good unit to get. It will work with most any vehicle foreign or domestic built after 1996. It can also clear codes if needed turning off the engine light. Keep in mind they engine light will likely come back on until the problem with the car or truck is fixed. will this work on my Toyota Landcruiser 1999 VX100 4.7 Petrol? The only interface that could work up to date is the Toyota Techstream TIS and I want to find a handheld that can do my DTC’s?